Wisdom Panel is a branch of Mars Veterinary, with an ever-growing portfolio of excellent animal DNA tests designed for exploring your pet’s genetic makeup. Mars Veterinary was founded back in 2005 after getting its license from the Fred Hutchinson Cancer Research Center for its Breed Determination Patent. 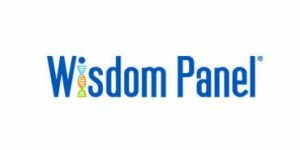 In 2015/16, Wisdom Panel released the 4.0 version of its well-known genetic test, replacing the previous 3.0 iteration. However, you can still purchase Wisdom Panel 3.0 (and 2.0, for that matter), so it’s very important to point out the main differences between the two tests and help you make the best decision for your animal friends. 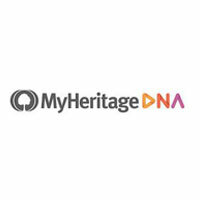 Both Wisdom Panel tests follow the direct-to-customer model, which means their respective DNA testing kits will be delivered to your address once you place your order. The kits are used for DNA sample collection, which involves buccal swabs. The procedure is rather quick and completely painless. Once you’ve collected your pet’s specimen, you can send it back to the lab for further processing. Both tests detect over 250 breeds, alongside different types and varieties. They also include wolf and coyote detection, so they’ll provide you with information on your pet’s “wild” genetic heritage. Wisdom Panel 4.0 also provides users with additional trait analysis. This refers to the physical traits your dog might exhibit based on its genetic results. It includes things like coat type and color, morphology, and more. When it comes to additional testing for genetic disease mutations, both Wisdom Panel 3.0 and 4.0 offer results for Drug Sensitivity (MDR1), but the latter also provides definitive info on Exercise-Induced Collapse (EIC). Both tests provide predictions for the adult weight of your dog but lack the dedicated matching tool for breeders since they’re designed primarily for private owners. The results are usually generated within 2-3 weeks for both versions of the test. 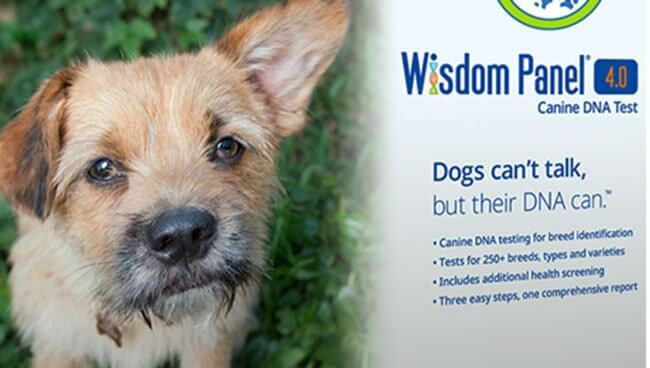 One of the main differences between these two tests is that Wisdom Panel 4.0 can only be ordered on the official website while you can purchase 3.0 from e-commerce retailers, not on the site. Wisdom Panel 4.0 costs 84.99$ on the website whereas the price of the 3.0 version depends on the retailer. For example, it costs 79.99$ on Amazon. Wisdom Panel 4.0 has many similarities with the 3.0 version but also enough differences to be recognized as its updated version. It costs marginally more but also offers trait predictions for your dog and screening for EIC, which is one of the most common conditions in dogs. On top of that, 4.0 can be purchased on the official Wisdom Panel website, so you won’t have to compare numerous retailers in search for the best price. The bottom line is that Wisdom Panel 4.0 features many improvements and brings useful extra features for just a few dollars more, so we definitely recommend going with this upgraded test. Wisdom Panel is the business unit of Mars, Incorporated, one of the 6 biggest private companies in the world. 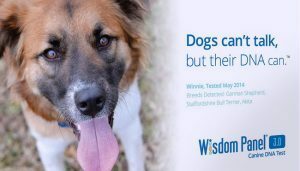 With over 1 million performed tests, multiple international partnerships, and the biggest database on the market, Wisdom Panel makes a solid choice for breeders, vets, and proud owners. Read this Wisdom Panel review for more information.